I’ve recently got back into brewing beer at home again and have made the switch from doing simple pre-made extract kits to following & adjusting extract recipes. 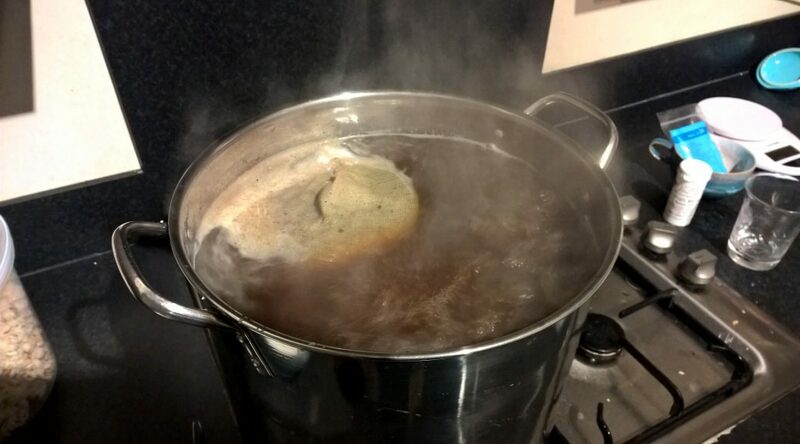 A few weeks ago I brewed my first extract beer, following a friends recipe for an American IPA. It’s turned out quite nice! Built a brew fridge from an old spare fridge. Irish moss, sugar and yeast – Ready!